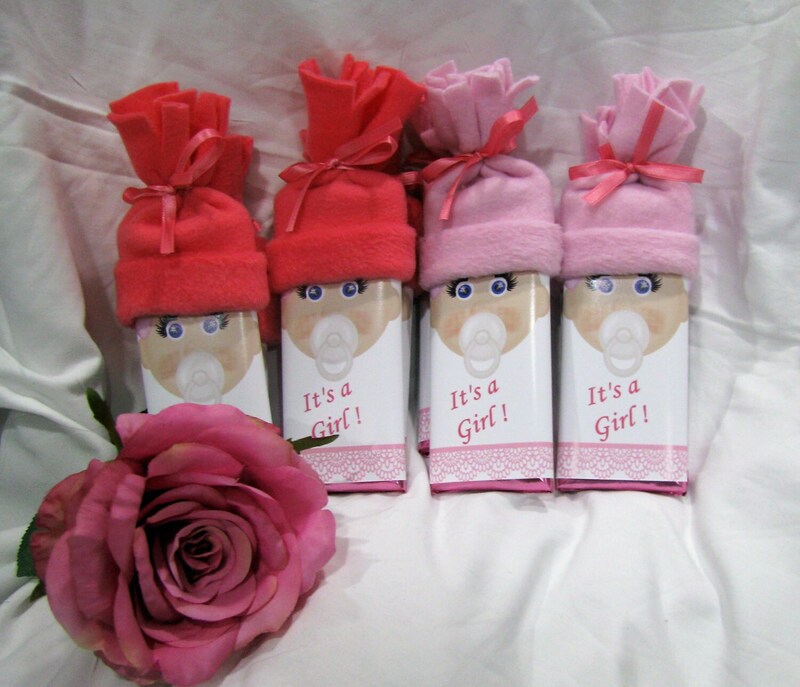 Want something special for your baby shower? 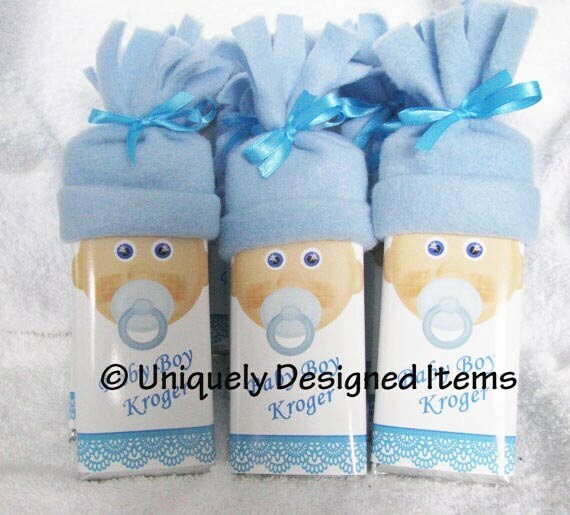 These baby shower favors are sure to please! 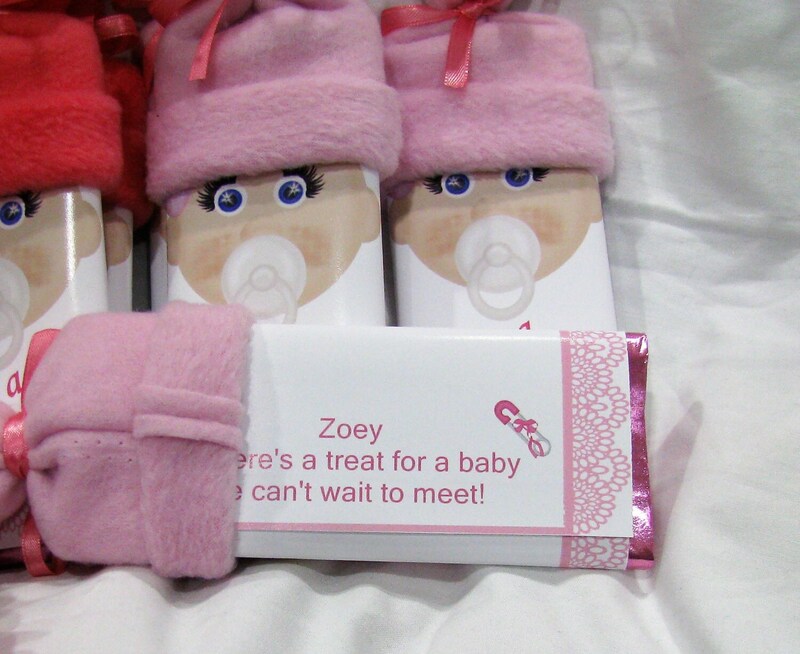 These baby bars are super cute for a touch to any baby shower or baby reveal party. We've also had customers use them for baby announcements. 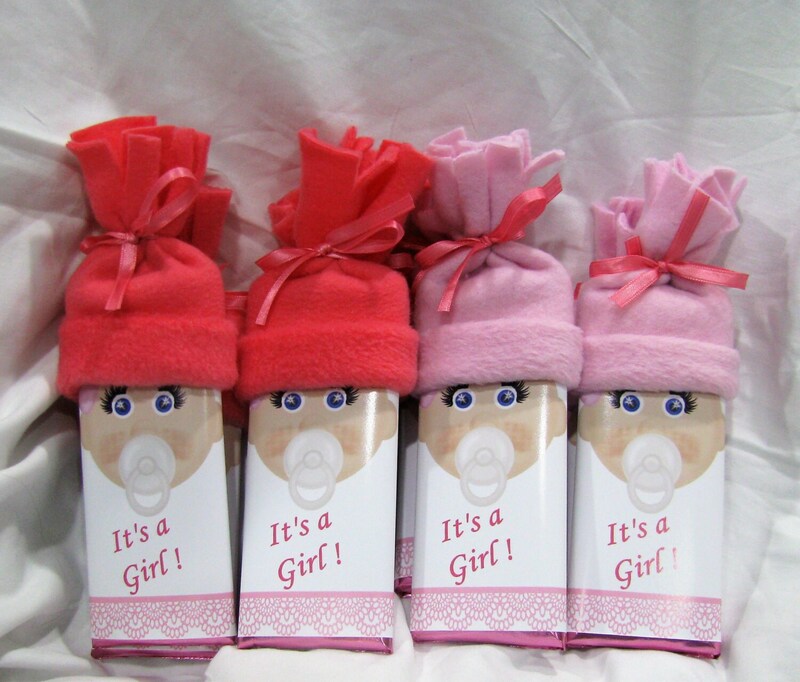 These bars are Hershey bars jazzed up to look like a baby. We can add the baby's name, date of birth, or any information. If its a baby shower, we have a little poem to put on the back. We have pink, blue, yellow, mint green or purple hats. 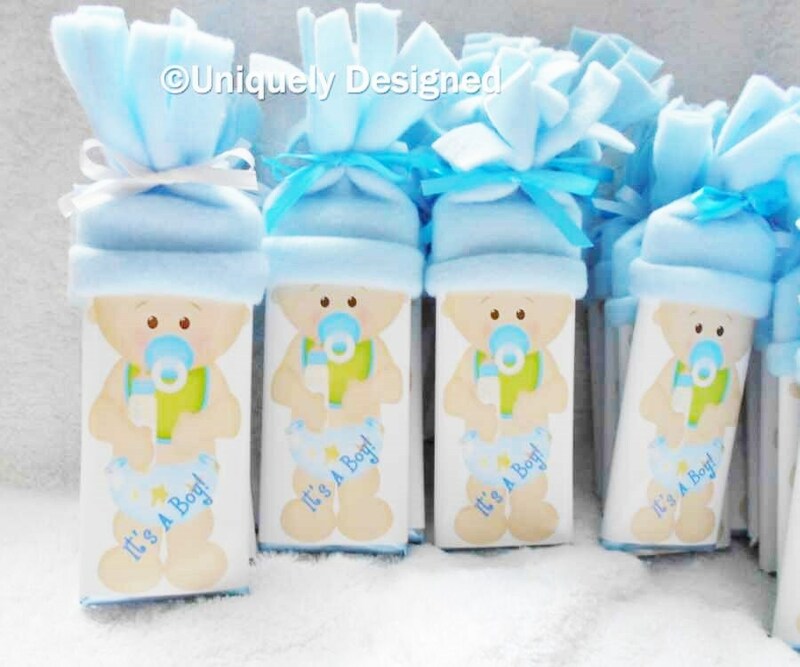 You will be the talk of the baby shower with these super cute baby bars only found here.